CHAMPAIGN, Ill. — Despite Latinas’ and African-American women’s increased risks of perinatal depression and the availability of reliable screening tools and national awareness campaigns, research has shown that these women are significantly less likely to be screened or treated. In a new position paper, researchers at the University of Illinois and Northwestern University are urging federal policymakers to appropriate funds to boost diagnosis and treatment rates among minority women, including increasing the number of medical providers in the pipeline who are trained in culturally sensitive screening and treatment methods. 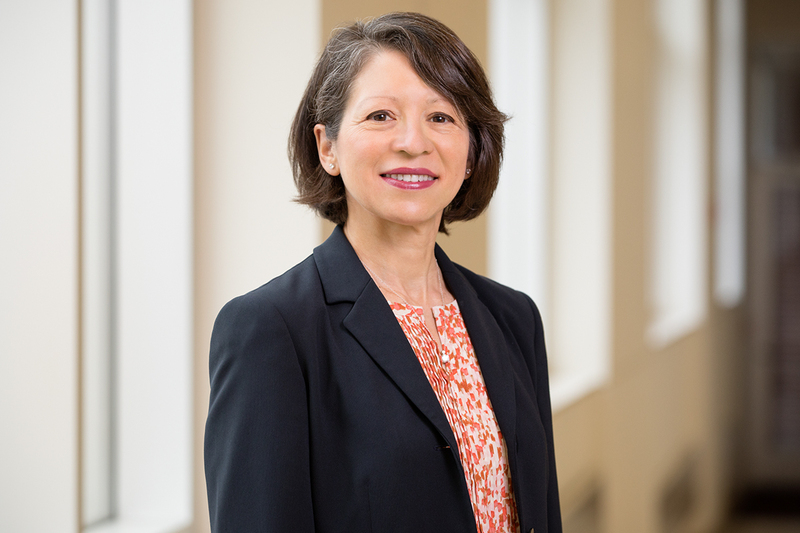 Defined as a major depressive episode that occurs during pregnancy or the first year after giving birth, perinatal depression is the most common complication of childbearing, according to the study’s lead author, U. of I. kinesiology and community health professor Sandraluz Lara-Cinisomo. While the mood disorder is estimated to affect about 12 to 19 percent of women in the U.S. general population, rates are believed to be significantly higher among women of color. As many as 43 percent of Latinas and up to 28 percent of African-American women may be affected, Lara-Cinisomo said. She co-wrote the paper with psychiatrist Dr. Crystal T. Clark of the Northwestern University Feinberg School of Medicine, who specializes in perinatal depression in African-American women; and Jayme Wood, then a graduate student at University College London. Along with financial obstacles, including higher poverty rates and lack of health insurance, other barriers such as immigration status may prevent Latinas and African-American women from being screened and treated, the researchers suggest. The stigmatization of mental illness and mistrust of the health care system that are generally found in American culture are even more pervasive among African-American and Latino communities, according to the study. Concerns about stigmatization may be further complicated by cultural beliefs about motherhood and women’s role in the family, the researchers suggest. Among Latinas, the concept of “marianismo” – the notion that mothers should be self-sacrificing, strong women who promote their family members’ well-being over their own – may limit women’s treatment-seeking. Likewise, African-American women may feel pressure to live up to the ideal of the strong black woman by toughing it out or attempting to conquer depression through inner strength alone, Lara-Cinisomo said. A new Illinois law that goes into effect June 1 will make untreated or undiagnosed postpartum depression or psychosis – a more severe form of the disease – a mitigating factor if it’s found that a woman’s involvement in a crime, such as a life-threatening event with her child, was due to one of these mental illnesses. Because low-income minority women often strongly fear that disclosing symptoms of mental illness could cause them to lose custody of their children, establishing trust with their health care providers will be critical, Lara-Cinisomo said. Sharing statistics on its prevalence and treatability can mitigate feelings of shame and stigma while building patient trust, she said. Women particularly need practitioners’ advice on the effectiveness, potential risks to mother and baby, confidentiality and costs associated with the recommended treatments of medications and psychotherapy, the researchers wrote. Education interventions for perinatal depression seem to be most effective when implemented prior to delivery, Lara-Cinisomo said. The authors urged policymakers to allocate greater federal funding to address shortages of mental health providers in underserved areas, to support the development and assessment of culturally sensitive interventions, and to training providers to use reliable screening tools with all perinatal women. The paper is in press with the journal Women’s Health Issues. The paper “Increasing diagnosis and treatment of perinatal depression in Latina and African American women: Addressing stigma is not enough” is available online or from the News Bureau.